CEO CookOff : We've raised a whopping £150k! 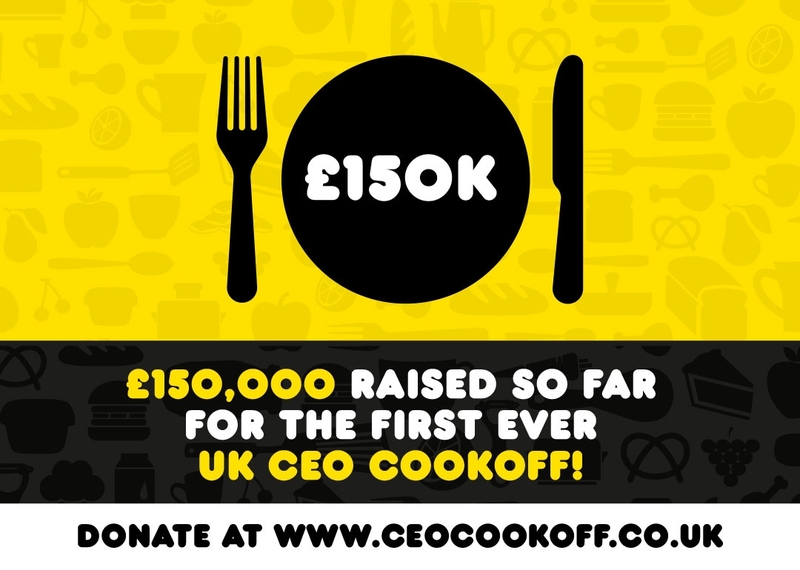 The CEO CookOff is heating up, and our 44 cooking CEOs have already raised an amazing £150k. That's incredible - thank you so much! The money raised will be used to make real, meaningful improvements to the lives of children all over the UK, through the joy of good food! With just £150, the Jamie Oliver Food Foundation could train a teacher in essential cooking and skills to keep their kids healthy. And with just £250, our partner charity UKHarvest can provide meals to 250 homeless or vulnerable people. So just think how much we can achieve with everything we've raised so far! But this is the tip of the iceberg, we want to raise £2million in total. Head to our donations page to support the great cause, or nominate a CEO you think might like to get involved!